There are few sayings that have developed throughout the years that are frequently used in many sermons. Although they may sound biblical many are not. As with most lies the enemy uses, they usually originate from a misquoted or misapplied truth. Listed below are some common ones. “Money is the root of all evil” is how 1 Timothy 6:10 is often misquoted. A careful reader, however, knows that “the love of money” is the root Paul identifies, not money itself. This passage puts the focus on the heart, not on the amount of our resources. Jesus taught in one of his parables that our possessions (money) should not possess us (be our master) in such a way that we become consumed by them and serve them above God. What’s interesting is that those who have much and those who have very little can both be consumed with a passion for money. Notice that Paul is talking about the desire to get rich and how easy it is to fall into temptation 1 Timothy 6:9 (ESV). This desire or craving for wealth often leads people to embrace senseless and harmful desires that end up ruining lives. In fact, at the end of verse 10, Paul says it is because of this craving that many have wandered away from the faith (the Christian life with all of it spiritual pursuits), and as a result, many are self-inflicted with unnecessary hardships, or griefs. Despite popular opinion, the famous saying, "Spare the rod, spoil the child," is not found in the Bible. The saying, however, should not be considered invalid as there are verses that promote a similar concept. This saying is based on what some call "The Doctrine Of The Perseverance Of The Saints" (a man-made doctrine). Those who hold this belief, do not believe that a unconfessed sin can keep the "true believer" from receiving the same inheritance (heaven) as other saints, which they claim God has "sealed" in them by the Holy Spirit. Because of God's grace, they do not believe that a unconfessed sin will forge a breach in one's experience of the joys of a heavenly life. They believe every believer would be in danger because we all sin constantly in thought and deed. This statement reminds us of God’s care and concern for each of us. However, it is frequently misapplied to comfort individuals who may be going through a particular hardship. The truth is, however, that this statement is, in fact, both a misquotation of (1 Cor 10:13) and is often misapplied. This passage is specifically talking about temptation and sin, not trials and not suffering. God does not tempt anyone. James 1:13 emphatically states, “Let no one say when he is tempted, ‘I am being tempted by God,’ for God cannot be tempted with evil, and he himself tempts no one.” While God does not tempt us, He does, in his sovereignty, permit us to be tempted. When Paul writes that God will not tempt us beyond our ability, he means that we are never in a situation where have no other choice but to sin. In a situation where telling the truth will damage your reputation, for example, it’s much easier to give in to the temptation to protect how people see you and lie, rather than do the right thing, which tells the truth. That’s why there’s no such thing as a “white lie”—one that you tell to protect the feelings of someone else or yourself. We never lie to make someone else feel better but to avoid a discomfort ourselves. It’s just easier to lie and not deal with the consequences of telling the truth. But Paul tells us why we endure suffering; we suffer with Him so we can be glorified with Him. (Romans 8:17) Paul also makes clear in (Phil 3:10-11) that he knowingly shares in the sufferings of Christ to the point of death so that he can share in the resurrection with Him too! 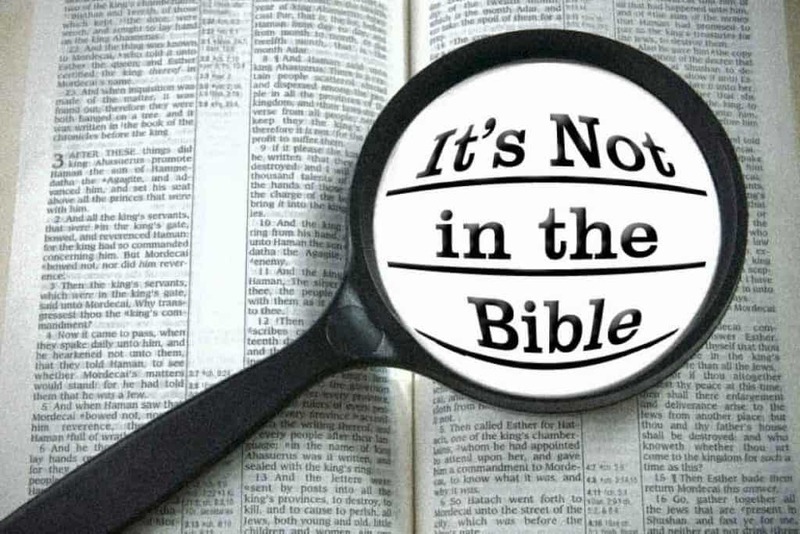 That is Not What the Bible Says. (1Ti 1:17) Now unto the King eternal, immortal, invisible, the only wise God, be honour and glory for ever and ever. Amen. *Note: Whoever you say God is, he MUST possess BOTH of these attributes, invisible and immortal, So if he DIED he was certainly NEVER GOD (the Almighty)!